The Elf on the Shelf is marketed as being aChristmas tradition– the Mensch on a Bench is its Jewish equivalent. 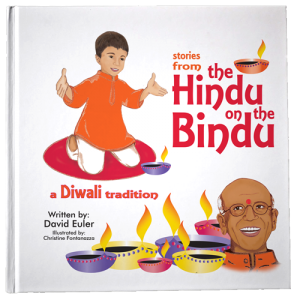 With no doll and storybook set available for children who celebrate Diwali, David Euler decided to do something about it by creating The Hindu on the Bindu. Euler, a renowned acupuncturist who also co-directs and teaches an acupuncture course for physicians at Harvard Medical School, explains that his creation is bigger than just a way to celebrate Diwali. 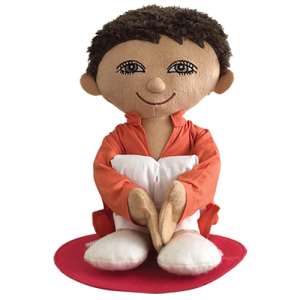 The hope is that it will be the spark the ignites the imaginations of children to tell their own stories, examine their culture, learn about others, and know the power a serene smiling face can have. 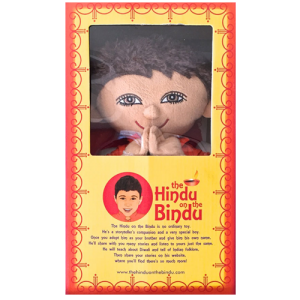 The product encourages children to write their own stories that can be shared on the Hindu on the Bindu website at: www.hinduonthebindu.com and can then be printed and published. “When storytellers pass way, everything disappears. If their stories were written down, they keep on living, generation to generation,” explains Euler. Featured in his book, “Stories from the Hindu on the Bindu,” is a story that depicts his wife’s father, a storyteller, as a way to honor his legacy.Another story, “The Treasure at the End of the Rainbow,” intertwines creatures found in both Indian as well as Western mythology. Leprechauns, a white Pegasus, gentle giants, friendly bears, fairies of all colors, a smiling Cyclops, and a three-headed demon all grace its pages. For more information on The Hindu on the Bindu, or for hi-res photography and/or to schedule an interview with Euler, please contact Andrea Doyle at 201-483-7227 or adoylecomms@gmail.com.